White Sofa Tricks: How to Keep it Clean and Bright! White Sofa Tricks – How to Keep Them Clean and Bright! One of the questions I get asked all of the time is why I have white sofas in my living room if I entertain so much. Truth is, when I was remodeling my living room a few years ago, I discovered a little secret that changed my thinking on this. It’s a clever interior designer’s tip that I had never heard of. 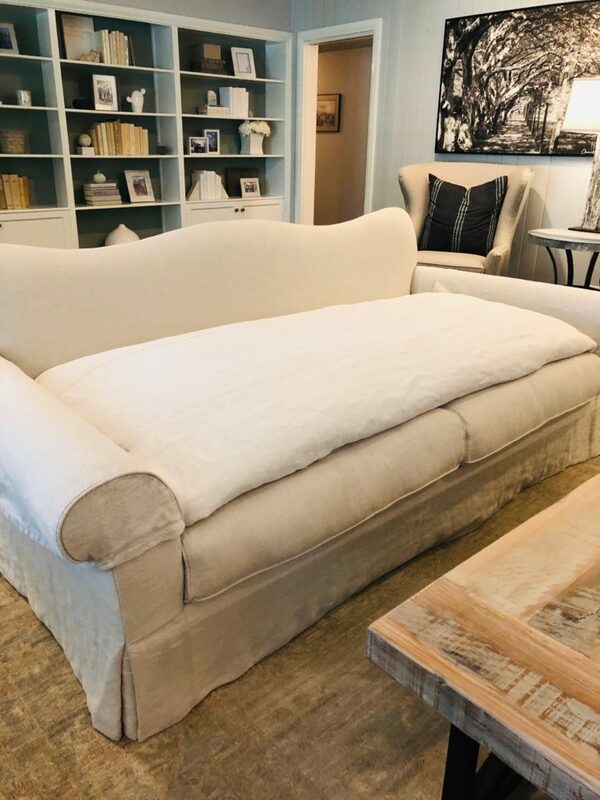 Read on for my white sofa tricks to keeping them clean! Your typical sofa . . .
Here’s what most sofa cushions look like . . . I had these custom made so that could fit 3 adults or 4 kids (even though many more have tried to squeeze onto one!). Covers for the arms were essential, because that it where most wear and tear happens. The arm rest covers make it easy to wash and helps protect the fabric underneath. This is a “comforter” for the top of my sofa. It super comfy, has a cover and and can be fluffed up for extra cushion. 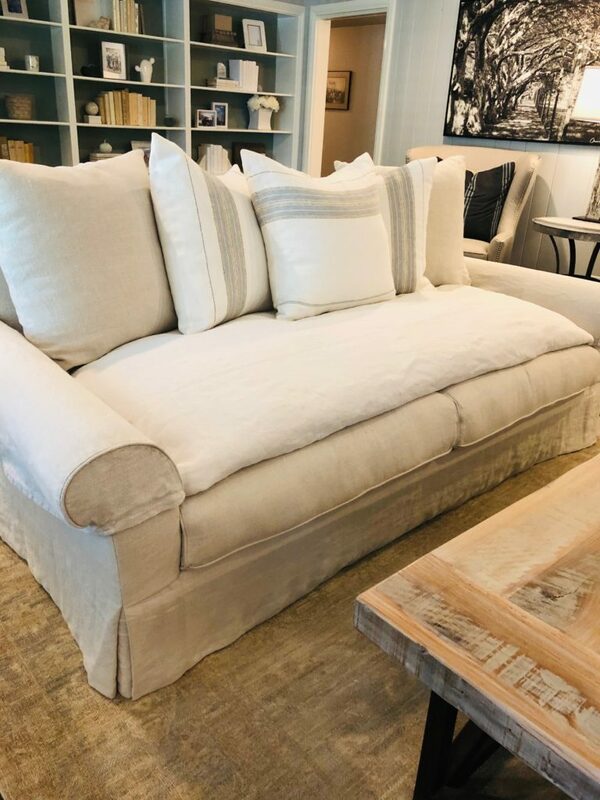 For extra softness, this sofa brand had an option for a down-filled topper. It makes a huge difference when it comes to sinkability – everyone comments on how comfy these are. 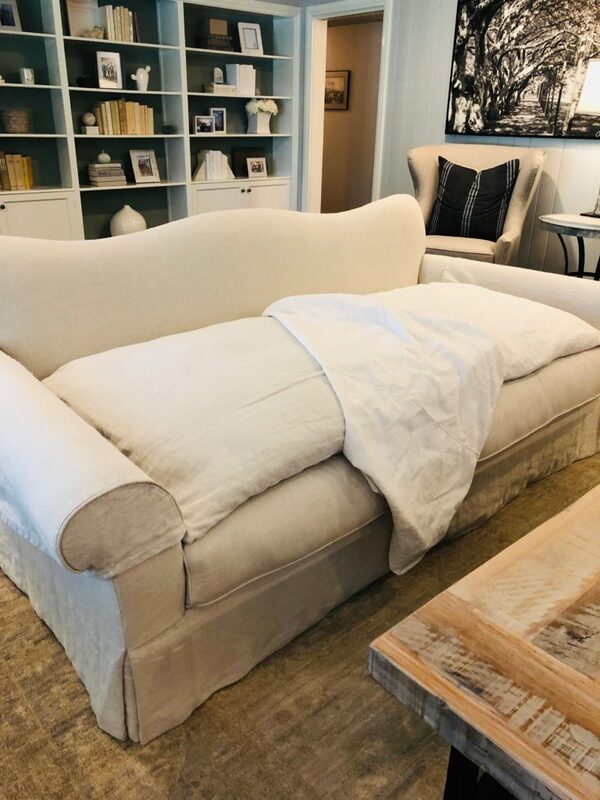 Perfect for a snooze during football season! Here’s my Secret . . .
I’ve used a “sheet” to cover the comforter. I simply ordered extra fabric when I had the sofa made. 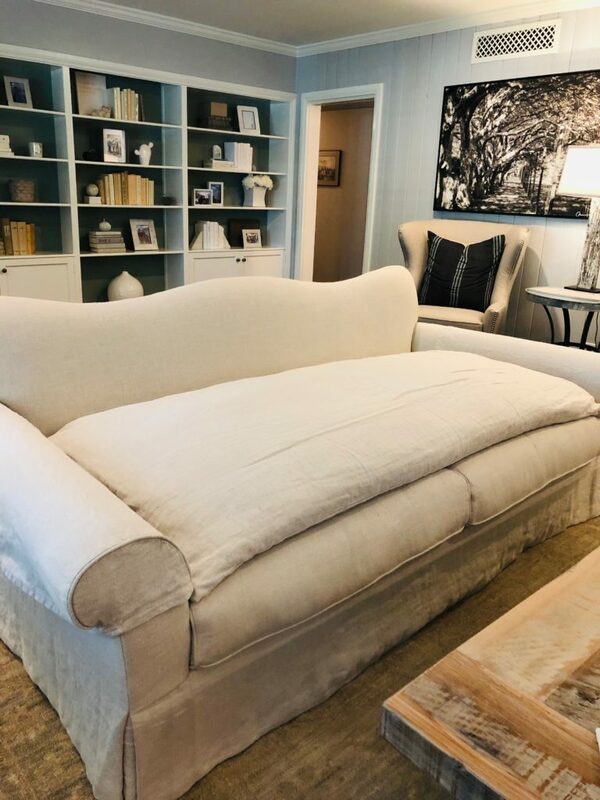 Here is the sofa with the “sheet” on the comforter – you can’t even tell it’s there! All primped up with pillows! Ready to seat any guest! So there it is! My trick to keeping my white sofas pristine. I don’t worry when entertaining guests, because I know I can wash everything if there’s a spill or accident. 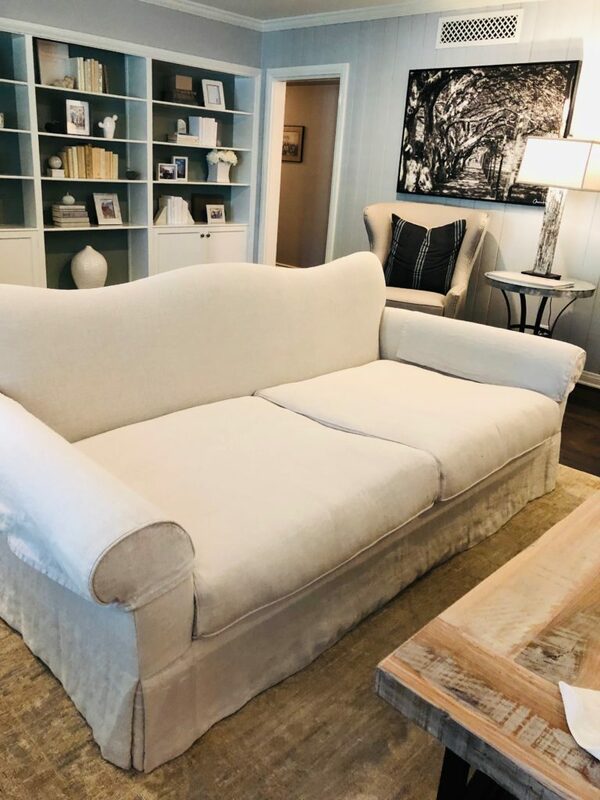 Maybe this will change some minds about buying furniture with light fabric – it can be done! For more tips on how to entertain at home, please check out my post on https://tohavetohost.com/hosting-meetings-at-home/. Love the sheet & topper idea!! I have slip cover but it’s like wrestling a water buffalo to get them back on! !